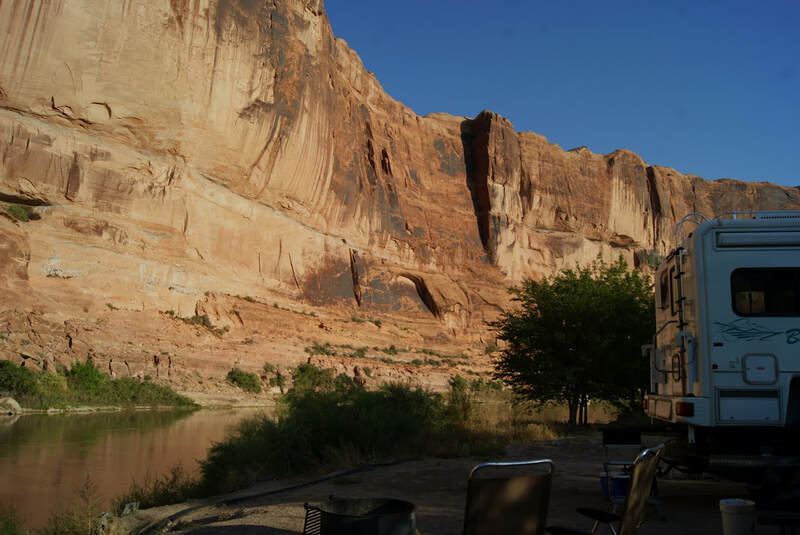 Camp Syncro for Moab '18 was at a location along the Colorado River called Goose Island. We camped at both Goose Island Group A and Group B. 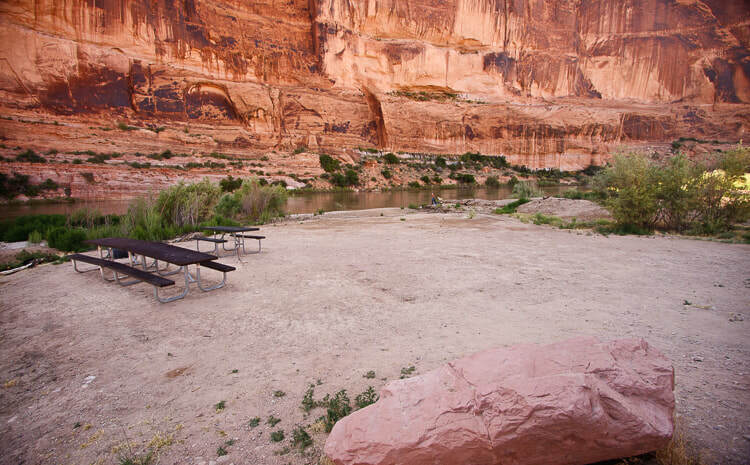 The sites at Goose Island are ideal for groups wishing to be close to the town of Moab and Arches National Park. The area offers outdoor enthusiasts many options for hiking, mountain biking, whitewater rafting, and four-wheel drive tours. The town of Moab is minutes away and has dining, shopping, sports rentals, tour companies and museums. Goose Island is beside the Colorado River with cottonwood trees providing much sought after shade in the desert. Across the river, the red cliffs of Arches National Park glow in the afternoon light. 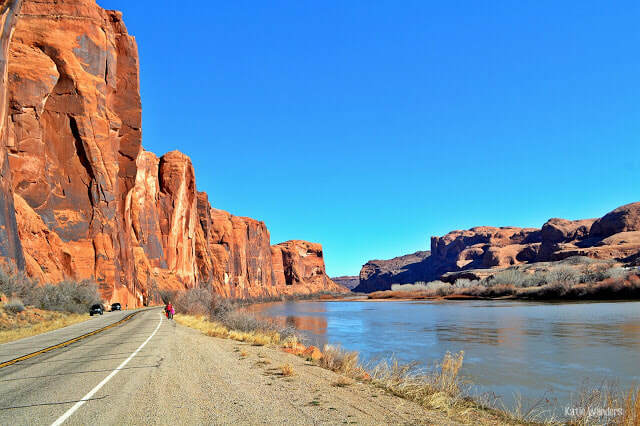 From Goose Island a paved bicycle trail leads to Arches National Park or up Highway 128 along the Colorado River. Arches and Canyonlands National Parks are nearby and have many hiking trails and four-wheel drive roads. 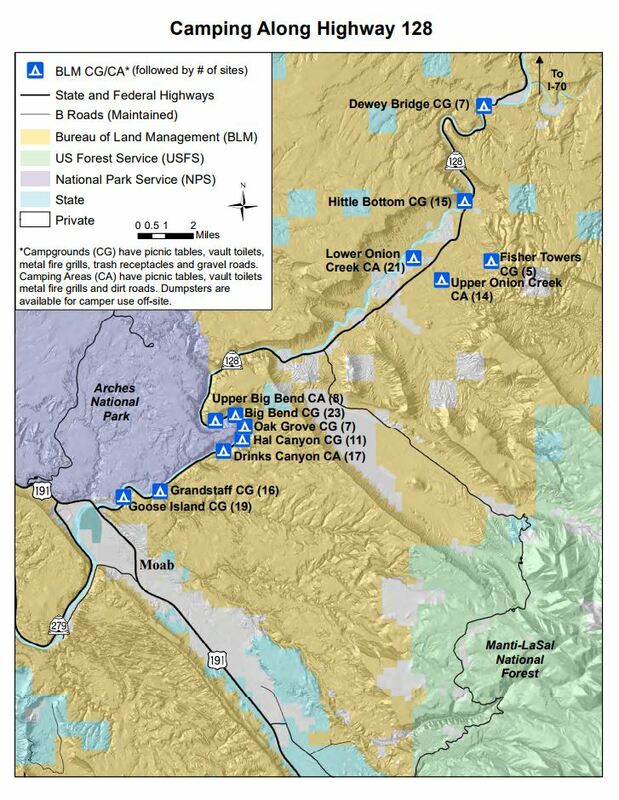 The river corridor is filled with canyons, trails and scenic vistas. The group sites have fire grates, picnic tables, vault toilets and shade shelters. The group sites do not have water, dump stations or electric hook ups. When you enter Goose Island the group sites are at the far end of the loop past the individual sites. ​Goose Island is only minutes from Arches National Park. Canyonlands National Park is within a half-hour drive as is Dead Horse Point State Park. 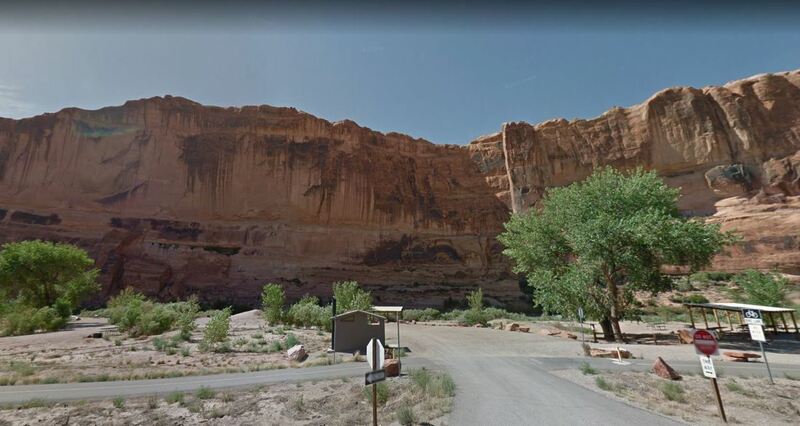 For people looking to sign-up for guided tours or rentals, the town of Moab is only five minutes away. 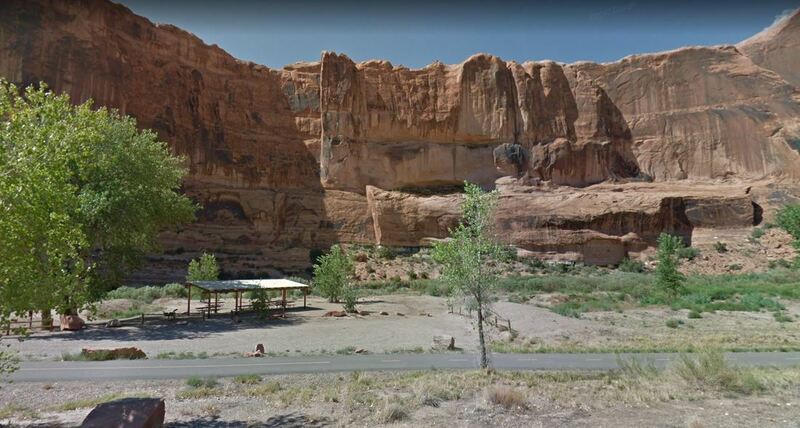 Getting There From Moab: Drive north on US Highway 191 to the junction with Utah Highway 128. Drive 1.6 miles east on Highway 128 to the entrance to Goose Island campground. The group sites are at the far end of the campground loop road.